How do I get my congregation or organization to think about pay equity in general? Bring the Reform Pay Equity Initiative to the attention of your clergy, supervisor, board, president and/or staff. Invite them to study some of the resources in the toolkit. Perhaps, you can plan as a community to mark Equal Pay Day with sermons, study, and board education. If you have a particular hiring coming up, ask if your congregation/organization can use the RPEI resources throughout the hiring process. How do I get my congregation or organization to do a complete salary review for the entire staff? If you feel your organization should do a salary review for all employees, try working with your executive director, human resources department, or your board. Start with educating your community about the wage gap in general. Then after basic knowledge of the issue is known, request the review. If you belong to a professional organization, reach out to them directly for data and advice. How do I bring my personal wage gap to my employer’s attention? Do your research beforehand. Look up salaries of similar positions and compare to your current position. Make sure to adjust for cost of living. If your research reveals a wage gap, you can present your employers with this data and start the conversation by showing how you are being disproportionately paid compared to your colleagues. If you belong to a professional organization, then they can provide data and advice. Sometimes employers can correct it immediately or in the next contract; sometimes they need to create a multi-year plan to raise a salary. You do not need to wait until a new contract negotiation, however, to raise this issue. It often helps to point out the amount needed to correct the wage gap compared to the entire budget of the institution. Where do I start this research? In order to collect data, use our participating professional organizations as a resource. Each organization conducts its own salary survey/study periodically, in alliance with the Reform Pay Equity Initiative. The organizations also have professionals who can provide you with additional guidance, including how to determine comparisons for your position. 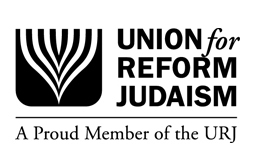 For example, if you are a rabbi, the CCAR can provide salary survey sheets that portray equitable salaries based on position level and congregation size. Also, consider asking employees about salary and benefits; professionals who currently or have recently held a position you are considering can be helpful resources. What if my position isn’t currently represented in the data? Use the professional networks to find other people with similar jobs. You can even post in their closed Facebook groups, asking to network with colleagues who have similar responsibilities. If you do not feel comfortable mentioning publicly your goal of collecting salary information, just locate the colleagues first. You can inquire about compensation privately later. As you seek out colleagues with similar responsibilities, you do not need to consider location at the beginning of the process. Cost of living can be factored in later. Most likely in your position, you will be part of someone else’s hiring process. For example, an education director could easily hire religious school teachers, a cantor hires b’nai mitzvah tutors or musicians, or a rabbi hires a youth group advisor. It is important to understand the hiring process from both perspectives. Check out the “employer” section as well. Even if you don’t think you will be hiring someone, it is important to understand both sides of the process.